Famed for her short, white hair, oversized spectacles and stacks of jewellery, Iris Apfel is a globally renowned fashion icon. From her unmistakable personal style to her contributions to White House interior design, Apfel is a multi-talented woman with many strings to her bow. Now, the 97-year-old has been signed to one of the world’s most prominent modelling agencies, IMG. Proving age is just a number, Apfel will be joining the likes of Gigi Hadid, Gisele Bundchen, Lily Aldridge and Halima Aden as the company represents her for everything from modelling jobs to appearances and endorsement opportunities. “I’m very excited. I never had a proper agent,” Apfel told WWD. “I’m a do-it-yourself girl. I never expected my life would take this turn so I never prepared for it. It all just happened so suddenly. 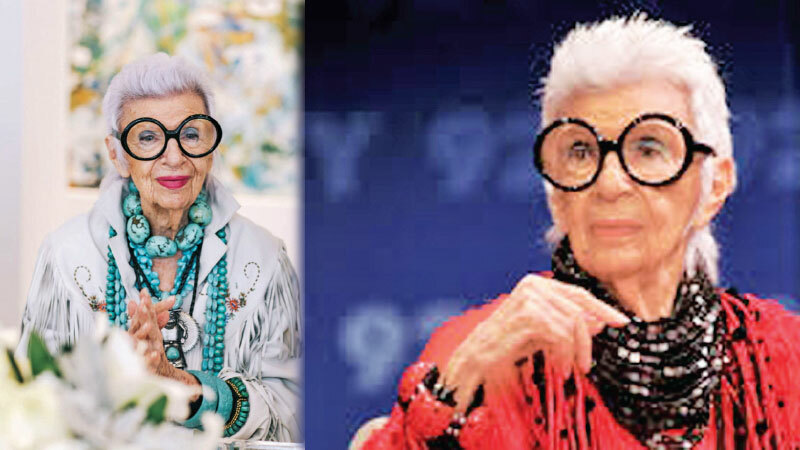 Then in 2014, director Albert Maysles released a Netflix documentary on Iris’ life, titled “Iris” and in 2018, Harper Collins released “Iris Apfel: Accidental Icon,” a biography of her colourful life. Most recently, Apfel has modelled for Mac Cosmetics and Kate Spade campaigns, was the star of a Vogue Italia spread and become the oldest model to ever feature on a Dazed & Confused cover. Speaking of Apfel’s most recent career venture, president of IMG Models and IMG Fashion Properties, Ivan Bart, said: “Iris is an icon with immeasurable talent. “She radiates creativity and inspiration and we’re so excited to explore new and unique opportunities with her, where her natural gifts can be shared with the world. And Apfel agrees, adding that she hopes her success in the fashion industry will inspire other older women to pursue their dreams. I don’t think a number should make any difference and make you stop working,” she said. “I think retirement is a fate worse than death. I love to work, and love my work.